The last-quarter volatility that shook financial markets in 2018 didn’t spare Canada’s ETF space. But that didn’t matter, as Canadian ETF-listed assets declined by only 3.9% over Q4 2018 to finish up at $156.8 billion. That’s according to a recently released commentary from the Canadian ETF Association (CETFA). According to the note developed by Strategic Insight Canada, 2018 was the second best-selling year ever for the industry, trailing 2017’s record by $5 billion. Last year was also the first time Canadian ETFs beat mutual funds in annual sales, allowing the former to increase its slice of the country’s investment fund market to 9.9% in terms of AUM. Examining sales by asset category, equity mandates tallied $14.1 billion in net creations in 2018, translating to 67.6% of total net creations in the Canadian ETF space — the category’s biggest share record since 2013. Unsurprisingly, US equity mandates and Canadian equity mandates led among the sub-asset classes, with each mandate achieving 12-month net creations of $3.8 billion. International equity funds rounded up the top three by garnering $1.8 billion in net creations. 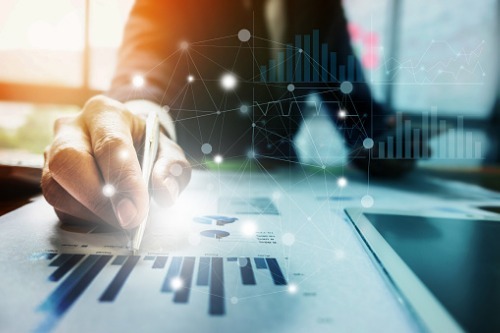 “Conversely, fixed income funds suffered their lowest share of yearly sales since 2013, as the $5.7 billion generated over 2018 accounted for 27.2% of the total,” the commentary noted. More than three quarters of total sales for the year came from investment-grade bond ETFs, which picked up $4.3 billion; the remaining $1.4 billion went to high-yield bond funds. BMO Asset Management became the best-selling ETF sponsor for the seventh consecutive year with $5.8 billion in net creations. The top three ETFs over the period were the BMO S&P/TSX Capped Composite Index ETF, the BMO Europe High Dividend Covered Call ETF, and the BMO S&P 500 Index ETF, which together generated $3.4 billion in net creations. Vanguard Canada was the second best-selling sponsor with $4.2 billion, and Mackenzie was a distant third with $1.8 billion. Based on activity over the first three quarters of 2018, full-service brokerage (FSB) remained the largest retail channel for ETFs, with assets rising by 19.5% over the period to end with 60.7% market share. The online/discount brokerage (ODB) channel was still the second-largest Canadian retail platform, growing assets by 11.5%. “While still small in the bigger picture, the robo-advice channel remained the fastest-growing platform in Canada for ETFs, expanding by 87.7% over the first three quarters of 2018 to end the period with $3.6 billion in assets,” the commentary said. Eight new managers entered the space in 2018, together accounting for 25 out of the 120 new ETFs that were launched over the year. Of those 120, 74 were equities-focused mandates; 36 were fixed-income focused; nine were multi-asset class strategies; and one fell into the commodities category. “Additionally, ETFs employing active strategies comprised 69 of the 120 launches, while 26 new funds tracked market capitalization-weighted indices,” the commentary said.